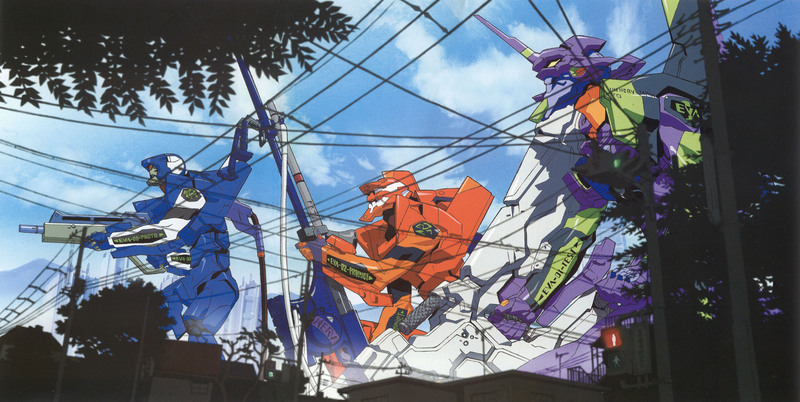 From Neon Genesis Evangelion Die Sterne. I have reduce the image and image file. The original image was 8741x4398 and 4.68 mb, i have save the file at high resolution . . .
*Not my scan. * Downloaded it (torrent). oh wow. that look scary. but what an amazing scene. I'll definitely will be runn away when i sees this. thanx for sharing this scan. A great picture, from this very special anime. Thanks and keep sharing. Great scan. Thank you for sharing. Excellent Scan! Thanks for sharing!